Bethesda announced Rage’s Anarchy Edition at BFG Showcase in Utah last week. The Anarchy Edition is a “First Edition” pre-order only release, meaning that all pre-ordered copies of Rage are the Anarchy Edition. Crimson Elite Armour – which combines the attributes of all three of the in-game suits. Unfortunately, the Anarchy Edition is currently only available in North America scheduled for September 13th, 2011. If you’ve anxious to get your hand on Fallout New Vegas, this might help hold you over. 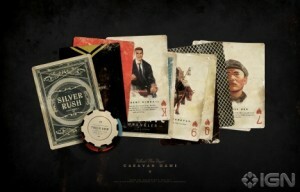 IGN recently published the Rules for Caravan, a card game that is found in the game and is included in physical form with the Collector’s Edition. The rules published by IGN allow you to play with a normal deck of cards. You’ll have to play with an old deck that’s practically falling apart for the full effect. 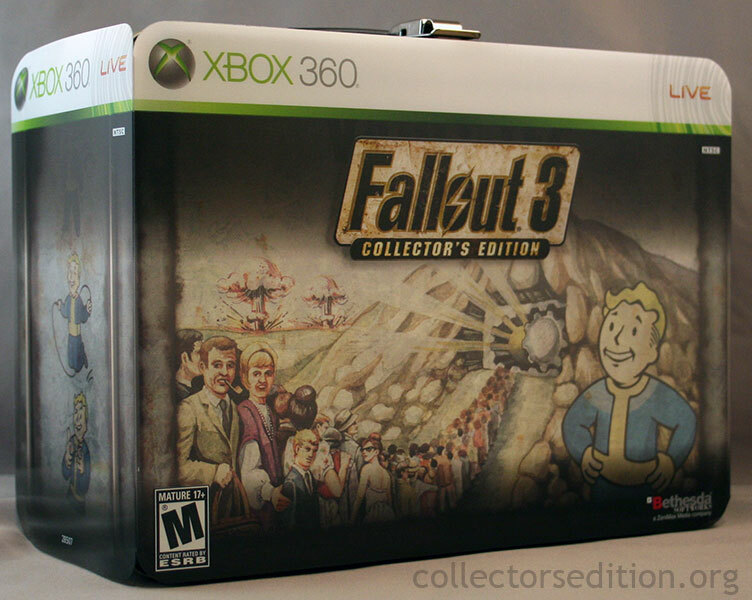 Pictures have been posted up of the NTSC Xbox 360 version of the highly anticipated Fallout 3 Collector’s Edition. 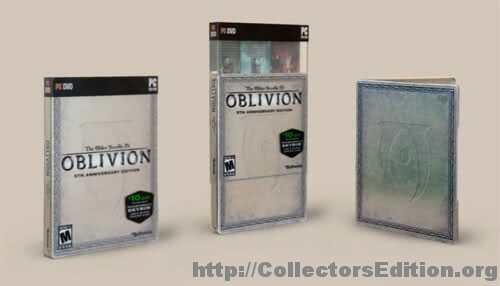 Fallout 3 Collector’s Edition Comming? 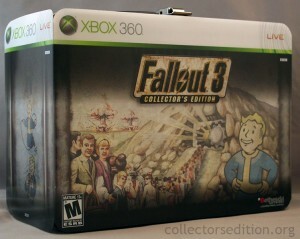 Amazon.com has listing for an NTSC Collector’s Edition release of Bethesda Softworks’ Fallout 3. The Collector’s Edition will apparently be arriving on PS3, Xbox 360, and PC. No details have been released, no features, pricing, images, or even a release date or ESRB rating. We can likely assume, however, that the Collector’s Edition will release along side the regular edition on October 7th of this year. We’ll post more details when we get them.